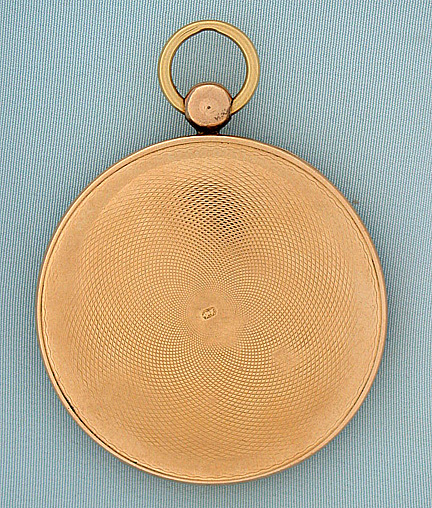 Fine thin French 18K gold sector antique pocket watch by Mochelle, Paris circa 1830. silver engine turned dial with a sector for the hour hand which traverses the arc and then snaps back and starts over again. Subsidiary minutes below. 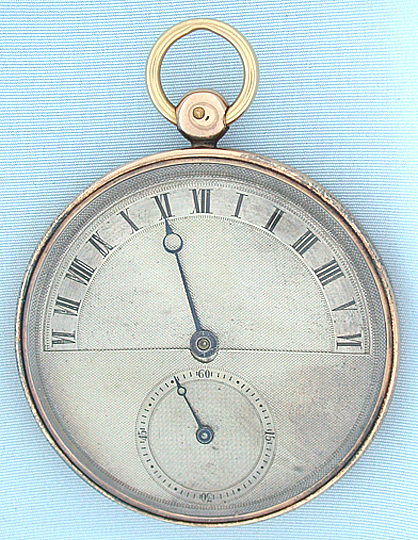 Flat cylinder movement in a style reminiscent of Breguet with the escape wheel under the dial. 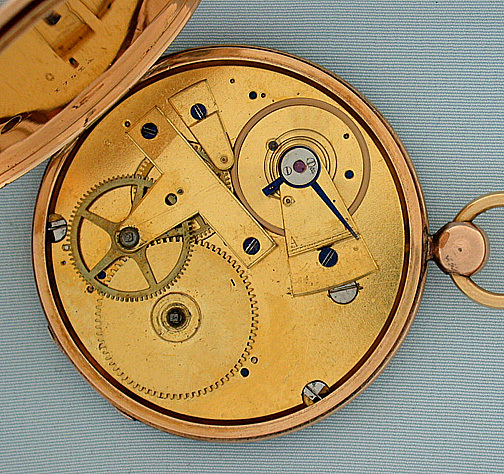 Signed "P & M" for Piguet & Meylan under the dial. Engine turned case with only light wear. Handsome and elegant.